Granular materials are a collection of distinct macroscopic particles. Consequently soils, which are used for agricultural purposes are a part of them. In comparison with other simulation models, creating a numerical simulation with the discrete element method (DEM) for different soils prove to be difficult. The reason for this is that there are an enormous number of particles. Therefore it is not possible to reproduce every one of them. On this account, parcels are used in the numerical simulation. These are larger and also have different physical properties. However, also for the modelling of parcels characteristic variables are necessary. This variable should be determined by using the capillary effect. The experiment carried out on the field in 2015-2017 in the conditions of south-eastern Poland (The Experimental Station, Uhnin in Province Lublin) (51°34 ‘, 23°02’E), on the fawn soil, slightly acidic. The study to determine the effects of foliar fertilizers used in the form of spraying on the productivity of the tubers potatoes. In the research hypothesis, it was assumed that macro- and microelements contained in foliar fertilizers will affect the intensity of process of photosynthesis and transpiration in the field conditions, which in consequence may affect the yield of potato tubers. The experiment was performed in randomized subblocks, in triplicate. 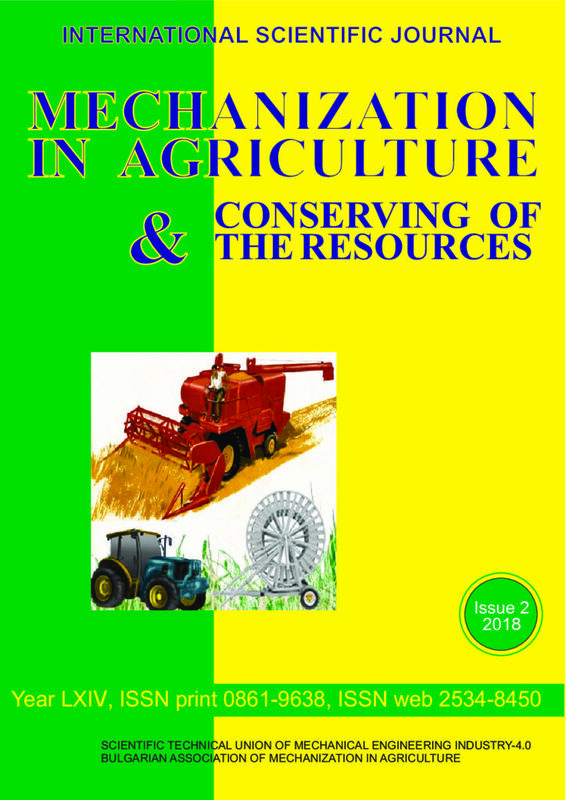 In the study was evaluated the effect of the spray of macro- and micronutrient fertilizers on the productivity of potato cultivars Jelly and Satina. Were tested four fertilization variants: three technologies foliar fertilization and standard object, without foliar fertilization. Technologies foliar fertilization had had a significant effect on the Total yield of tubers, the commercial yield of tubers, the yield of seed potato tubers. The technology of foliar fertilization using: Basfoliar Extra 36, per 400 dm water on 1 hectare had significantly increased of the total yield of tubers, the commercial yield of tubers, and yield of seed potato tubers. In the case of cultivars, Satina had a significant increase in share and yield of total yield, commercial yield and yield of seed potato tubers over than Jelly cultivar.